the 48 contiguous United States. With the digital floor scale seca robusta 813, seca, the world market leader for medical weighing systems, has developed a solution which meets the highest demands as regards comfort, stability and precision. 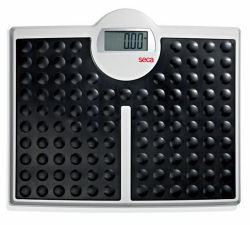 It is therefore not only the ideal scale for controlling weight in the medical sector (when no calibration is required) but also for controlling one’s weight at home. The seca 813 is well-suited for fitness centers und private households. Extra wide platform: The generously sized platform with the extremely robust steel construction is extremely flat and thus easy to mount even if one is handicapped. The non-slip rubber feet and the soft, pimpled surface make the platform safe and comfortable to use. High capacity: Even under extreme loads, the seca robusta 813 with its capacity of up to 200 kg shows the precise weight in 100 g steps. Step-off function: For precise results: With the step-off function, the scale is automatically reset to zero at every step, taking changes in the environment into account. When stepping down off the platform, the precise weight is automatically shown on the display. Highest precision: seca has always attached great importance to people’s health. 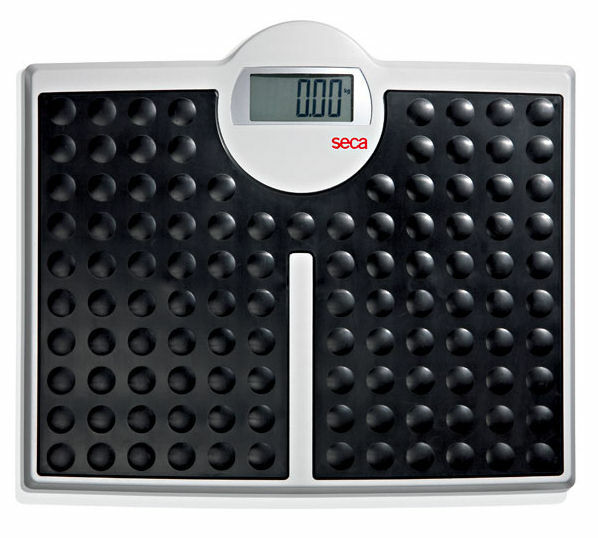 As the world market leader in the medical weighing sector, seca therefore also offers scales for the private sector, scales which meet highest demands as regards precision, quality and comfort.